December 22nd – January 2nd! Book your test drive with “The Nice Guys” today! 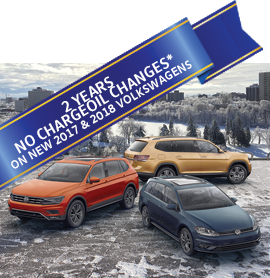 *With purchase (lease, finance, or cash) of any new 2017 or 2018 Volkswagen. Offer is valid from December 22, 2017 until January 2, 2018. No charge oil change is based off 15,000kms per year. Dealer my offer a discount in lieu of promo. See dealer for complete details. 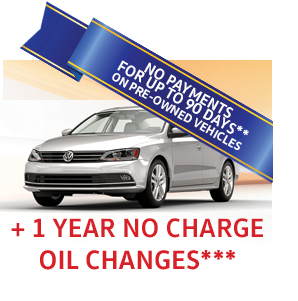 **With purchase of any pre-owned Volkswagen vehicle. Off makes to receive Dealership Service Credit of $150. Offer is valid from December 22, 2017 until January 2, 2018. No charge oil change is based off 15,000kms per year. See dealer for complete details. ***First payment may be deferred up to 90 days OAC. Interest continues to accrue during deferred payment period. Deferring your payments will result in an increase of cost of borrowing. Contact dealer for complete details.